For those of us that didn't make it to graduation but are ballers anyway (Kanye, we're looking at you), Comme des Garcons has made a School-of-Life set of class rings. Designed by Rei Kawakabo and engraved with sayings like "My Energy Comes From Freedom" and "Live Free, Strong Will," these hulking gems praise the open road rather than the open book. 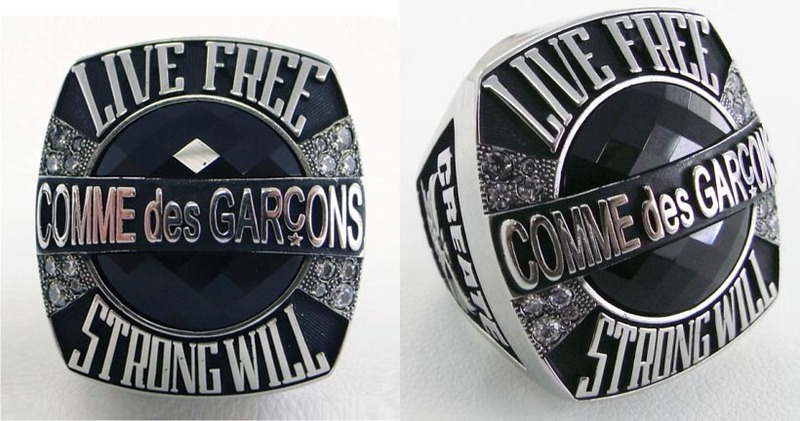 CDG Champion Rings are available in two sizes, for the ladies and the fellas, and will be stocked at their New York store.